Researchers solve 40-year-old mystery of betaretrovirus infection in humans. Researchers at the University of Alberta and Beijing Genomics Institute have found that human betaretrovirus (HBRV) infection is commonly observed in the cells of patients with primary biliary cirrhosis (PBC), a liver disease categorized as autoimmune in nature. The finding provides a level of proof that the virus infects humans and also demonstrates a connection between the virus and liver disease. The current study shows that this virus inserts its DNA into the human genome, where the team found the junction regions of virus integration in cells of the biliary epithelium, the site of disease. The team state that this is the gold standard for demonstrating retrovirus infection. The researchers saw over 1,500 unique virus integrations in patients’ samples. So that settles an ongoing debate since the 1970’s saying that a betaretrovirus is not a human pathogen. The idea that HBRV could cause a form of cancer was first brought up in the 1970’s. However, because the virus was found at such low levels at the time, the medical community could not agree on whether it was a true infection. The team states that the discussion reached a stalemate in the 1980s and was eventually ignored once the HIV epidemic emerged. In 1998 researchers began examining HBRV and its connection to PBC, eventually publishing findings linking the two. The findings though were called into question after another group was unable to find the virus within the liver of PBC patients and challenged the study. Now more than a decade later, the team is able to offer further and more detailed proof through the advancement of technology and the use of gene sequencing. The medical community always thought that autoimmune diseases like PBC looked like virus infections underneath the microscope but people have been unable to find viruses. Because they found autoantibodies they assumed they were autoimmune diseases. However, patients with hepatitis C virus make autoantibodies and no one calls this an autoimmune disease. So the team are taking the same approach with PBC as with hepatitis C virus infection. 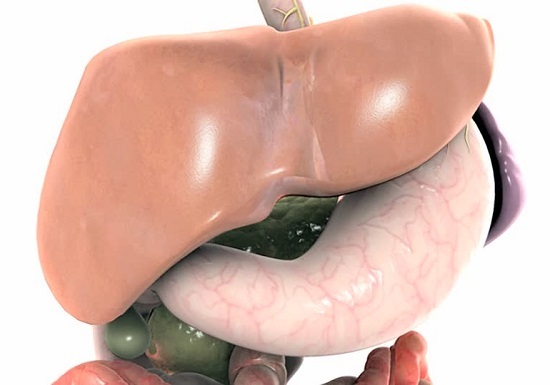 Primary biliary cirrhosis is a rare disease that affects the bile duct in the liver. It occurs in up to 1 in 500 middle-aged women and is found in about 10 percent of all patients needing liver transplants. Despite the progress being made HBRV has still not yet been fully linked as the cause of disease. The team is in the midst of a randomized controlled trial that they hope will provide further proof. They are following PBC patients who are taking antiretroviral therapy to see if they show clinical improvement. The team believe that the findings offer new avenues of research for future clinical treatment. While answers won’t come quickly, the researcher say they are emerging, offering hope to patients suffering from PBC. The team have observed some improvement in patients with recurrent PBC following liver transplantation using antiviral therapy. The team is now testing newer medicines in the lab to find better treatments.